Fear not, fans of vampiric cinema! Twilight is over, Dario Argento’s Dracula 3D has come and pretty much gone, Dark Shadows didn’t do well enough to spark a sequel. But other vampire films are on their way! One of these comes from the fertile mind of Neil Jordon, the man who also gave us Interview With the Vampire (based on the novel by Anne Rice). In this case, the new film stems from a play written by a friend. 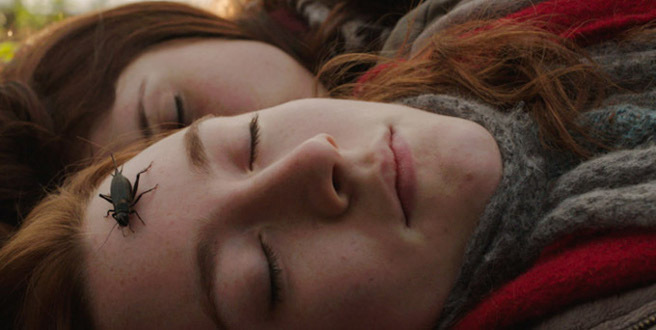 Byzantium makes for a mother and daughter vampire pair. Saoirse Ronan (who also portrays the lead in Stephanie Meyer’s The Host) and Gemma Arterton (co-star of Hansel and Gretel, With Hunters) play a mother and daughter whose personal histories go back two centuries. We catch up with them in the current day. Their names are Clara and Eleanora Webb. Somehow I suspect that surname has poetic significance. Production photos and the new trailer (below) make clear we have a visually stunning piece of filmmaking, with startling images as well as hints of a compelling story. Jordan, whose credits include The Company of Wolves–arguably the most intriguing blend of werewolves with Little Red Riding Hood so far–and the award-winning The Crying Game, doesn’t churn out blockbusters a la J.J.Abrams or Steven Spielsberg. He’s more known for intensely dramatic stories with lots of surprises and more than a few thrills. The film also stars Jonny Lee Miller, who also played Roger Collins in last year’s Dark Shadows. Now Byzantium is headed for theaters and eventually DVD. Here is the international trailer. What do you think? Do you want to see this? It looks like it’s going to have an uncommon level of artistry and a unique lore. And there’s something compelling about Ronan. In any case, a must-see.